Of all the accessories and enhancements you can add to your inground swimming pool, perhaps the most luxurious and ultimate enhancement is the pool enclosure. 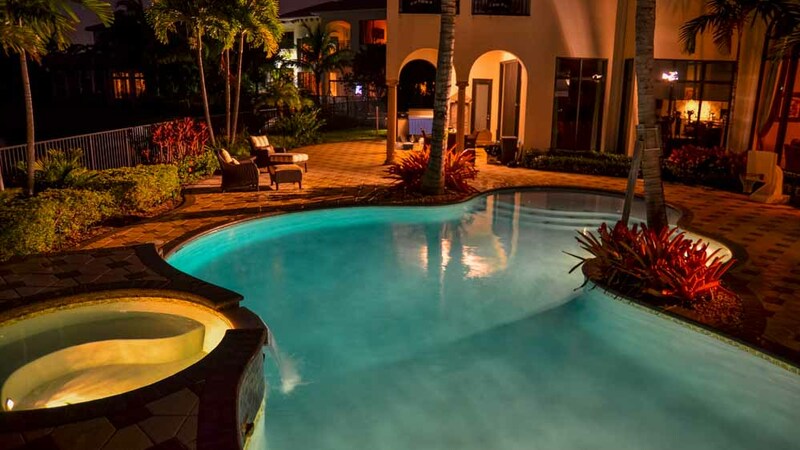 One of the primary reasons for installing a screen enclosure around your inground swimming pool is to create an environment that is completely independent of weather conditions which prevail outside. In fact, a pool enclosure can extend the swimming season into a year-round proposition, with complete disregard for cold, rain, or any other weather which might interfere with normal open-air swimming. The expense of installing a screen enclosure is thus mitigated by the fact that you can get much more use out of your pool. 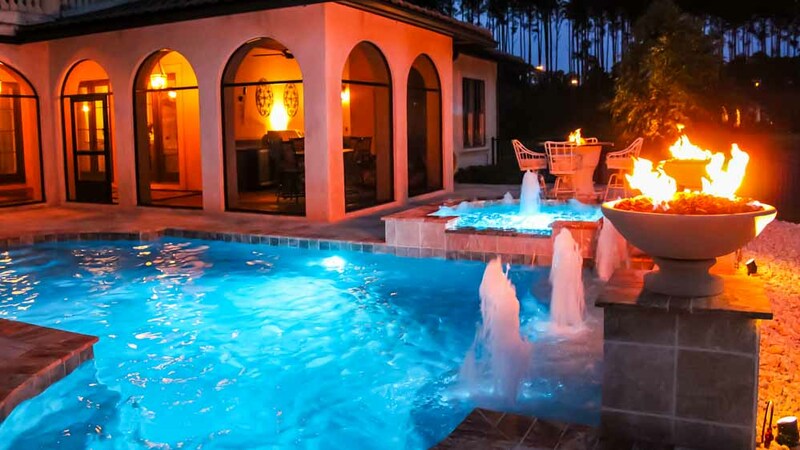 To get some ideas on possible pool enclosures, our Poolside Designs specialists can show you photos of pool and room enclosures of all shapes and sizes. While year-round swimming may be the most obvious advantage of installing pool enclosures, it is not the only reason to do so. If you are concerned about harmful rays of the sun, especially as they might affect young people in your household, you can install a pool enclosure that will screen out some or all of those harmful rays, and have peace of mind about that particular aspect of poolside living. It will also provide a safe sunroom during cooler weather. 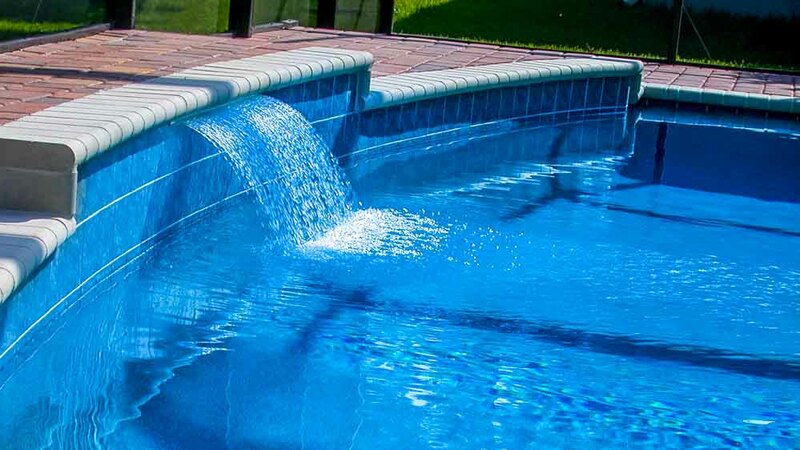 An enclosed pool is also easier to maintain in some respects, because debris is kept out of the pool, so there will never be any falling leaves or other floating material that lands in your pool or on your patio. The enclosure also slows the effects of water evaporation, which means you won’t have to top off your pool water as often. There is also a safety factor associated with pool enclosures, because they can prevent neighborhood children from wandering into your sunroom and pool area. Lastly, pool enclosures add a great deal of value to your home, and at resale time, that can have a huge impact on sale price. 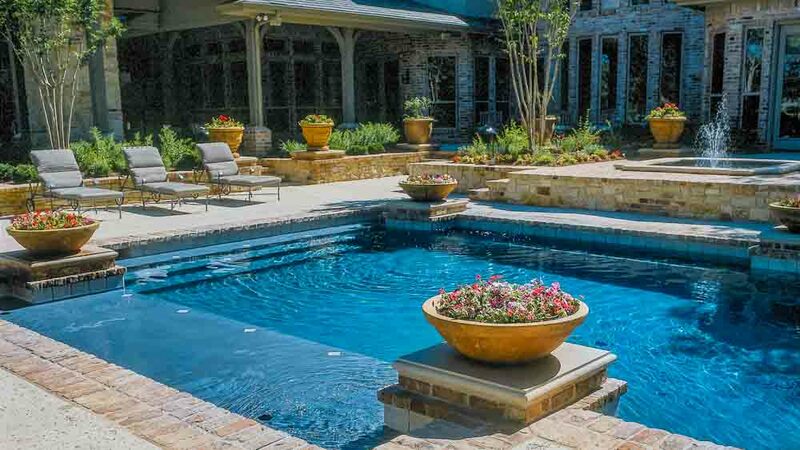 Unless you’re installing a more or less traditional, standard-sized inground swimming pool, your pool enclosure will probably have to be customized to fit the shape of your pool, and possibly your patio. 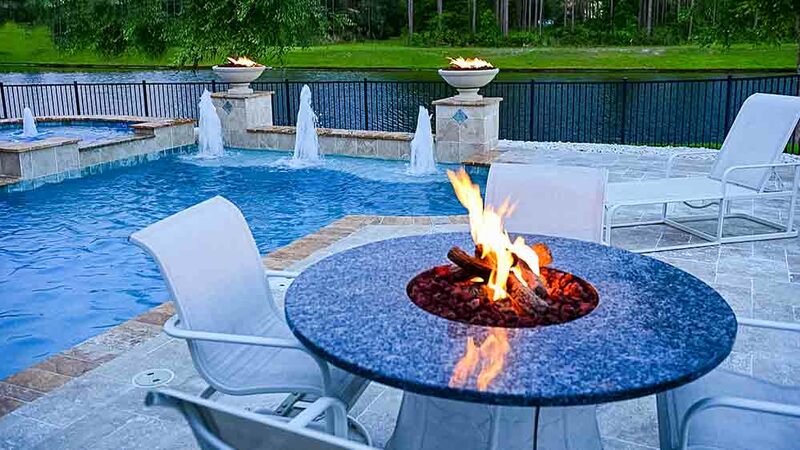 That means you should discuss the pool enclosure at the same time you are collaborating with a pool design specialist about the pool itself. Materials you can choose from for enclosure construction are aluminum, polycarbonate, stainless steel, and others. Enclosures can be constructed such that they are retractable, and can be withdrawn during prolonged stretches of good weather. They can also be fully automated, and either implemented or retracted at the touch of a pushbutton. You will also want to take into account the climatic conditions prevalent in your area, and make sure that your sunroom enclosure can withstand the worst weather from each season. 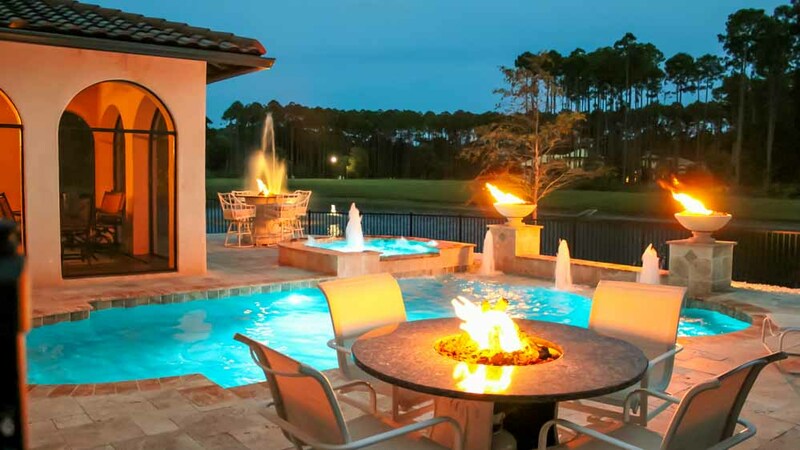 It’s also a good idea to think about some kind of heating system for the interior, so that even during the coldest weather, your inground swimming pool can continue providing maximum enjoyment for your family and friends. Pool enclosures may be the ultimate pool accessory, but they can also have very practical benefits.